Before buying a carpet, there are many questions that should be clarified in advance. Of course, no meticulous planning is necessary, but you can quickly limit the choice of the carpets in question by asking simple questions. If, for example, the carpet you are looking for is to be displayed in the entrance area, we recommend a robust and hard-wearing carpet. In addition to placement, many other factors such as direct light irradiation, furnishing style, size, personal The taste and durability of the carpet influence the decision. 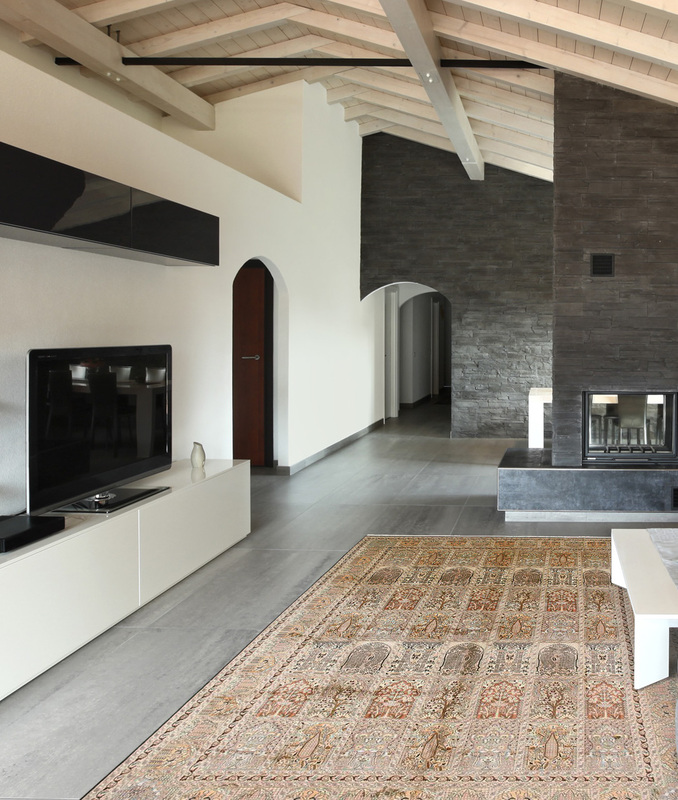 Below you will find a list of different factors for a decision when buying a rug. After all, the purchase of a high-quality carpet that can easily survive for many decades also needs to be well considered. 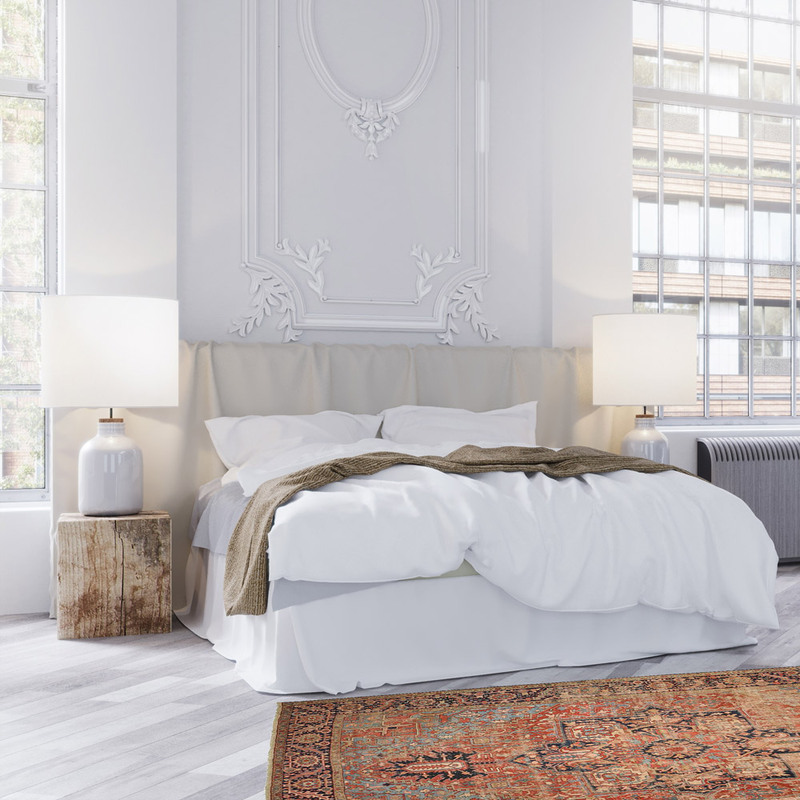 Even if trends and fashion constantly change, hand-knotted oriental rugs have always been a highlight in fashionable furnishing styles over the last centuries. It is therefore worthwhile to choose the carpet also with regard to the next generation. First of all, it makes sense to choose a carpet according to your personal taste. Here some questions can already help to be clear about one's own preference. Hand-knotted or machine-made? Choosing a hand knotted rug in advance has some important advantages, but is also reflected in the budget. Among other things, hand-knotted carpets are usually more robust, have a longer lifespan, are Unique pieces, can represent a very high level of detail in patterns, can have more colors and are mostly made of pure natural materials. Rare pieces can even show an increase in value or value retention after use. From advantages one can already decide for oneself in which direction it should go. Here we have summarized the main differences between hand-knotted and machine-made carpets. In a bright Scandinavian interior, for example, the right carpet offers the perfect opportunity to bring a vibrant and characterful shade into your home. Even rustic industrial design is rather colourless and can be significantly enhanced with the right carpet. Traditional carpets, for example, are ideal for such cases. The plant colours have an incomparable lustre and the oriental ornaments and patterns bear witness to centuries of history. You can design your room a little more discreetly with, for example, plain Gabbeh or modern designer carpets. They are usually less varied in colour and fascinate above all with their patterns. They combine modern design with the traditional craftsmanship of the Middle East. Persian rugs are of course also oriental carpets, but they are among the highest quality and by far the best known hand-knotted carpets from the Middle East. Their tradition and history go back to the beginnings of carpet knotting. If you would like to leave your carpet to a later generation, a Persian carpet is the best choice. But here, too, there are clear differences between the regions. Whether from Persia (today: Iran) or other known regions, Each region is known for its very own style. In the end it is often a decision of taste which carpet it will be. For example, if you want to have very detailed floral ornaments in your rug, you have to look for an above-average knotting density, which is more likely to be found in Persian carpets from Isfahan, Nain or Tabriz. For geometric patterns, which are very trendy at the moment, nomad carpets or kilims are recommended. Examples provided from a selection of over 9,500 different Persian carpets from the Speicherstadt in Hamburg. Nain Trading has one of the largest ranges of hand-knotted oriental carpets online. If you want a long-lasting rug or a rug with stylized patterns ,you should choose knotted rugs. They have a mostly thick soft pile and a high level of detail, depending on the knot density. Kelims, for example, are woven and rather flat in comparison. Therefore, they also have exclusively geometric and straight-line patterns. In production, hand-knotted rugs are much more elaborate, but also much more popular because of their many advantages and higher Quality. Before you decide on a carpet, it makes sense to consider the dimensions and requirements of the room. Is the carpet partially exposed to sunlight? Is it placed in the entrance area or under a dinner table? Such factors may have a strong influence on the choice of the right carpet. What room should the carpet be in? A much frequented room, such as the entrance area or the kitchen, usually requires robust carpets. Not only is the pile stressed by many feet, but dirt and stains can also be carried quickly onto the carpet. A carpet made of natural wool has a natural protective layer, its wool grease. However, light-coloured carpets can still get a stain. Therefore, darker colours are usually better suited for these areas. Even Nomad rugs are usually somewhat more robust in their pile, so that they can also be placed in the hallway without any problems. Do you want pieces of furniture on the carpet? The pile of hand-knotted carpets can easily withstand the weight of heavy solid wood furniture, but very fine carpets quickly leave marks. In any case, it makes sense to move the carpet or piece of furniture from time to time. What size should the carpet be? If the carpet is placed under a dining room table, it makes sense for it to be at least wide and long enough for reclining chairs. Otherwise it is recommended that the carpet does not cover the whole floor. A carpet is always an important one decorative element that is only fully effective when it decorates a visible surface. The same applies to carpets that are too small and can quickly appear lost in the room. If you already have a carpet of a certain style or region in your room, you can significantly enhance its effect with a carpet from the same region. Matching patterns and colours not only create a harmonious effect, they also noticeably complete the overall concept. It is not necessary to match exactly the same colour shade. Hand-knotted carpets made of natural wool or silk look different depending on the perspective. This means that they have a light and a dark side because of the position of their pile. You can play with this visible effect and decide in advance from where the light side of the carpet is to be seen. 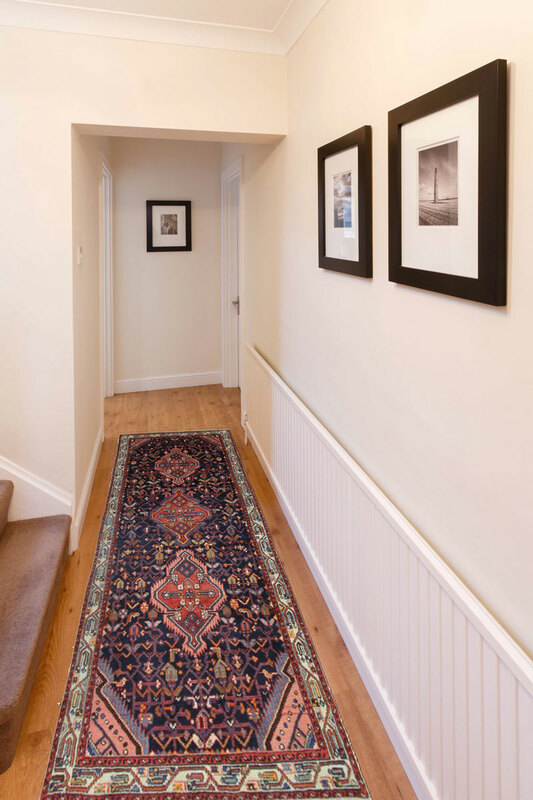 A light rug, like a Kilim, needs an anti-slip underlay for smooth floors. It prevents the carpet from slipping again and again or even poses a fall hazard for playing children. Modern anti-slip underlays are also suitable for underfloor heating and are not glued. Last but not least, it can be very worthwhile to look around the Internet for a handmade carpet. Dealers who previously sold carpets on a larger scale directly from their warehouse, for example in Hamburg's Speicherstadt, are now represented on the Internet with their wide assortment. Since such dealers usually buy their goods directly from the Orient without intermediaries and do not need a salesroom, the carpets are also much cheaper. An example of this is Nain Trading, which offer a range of over 20,000 different carpets, some of which are knotted in Persia themselves. The question of proof of origin and a fair price-performance ratio is therefore quickly settled.